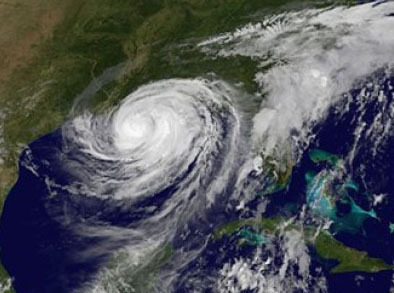 Officials with the Louisiana Department of Wildlife and Fisheries are reminding residents in areas that may be impacted by Hurricane Isaac that fish kills may occur as a result of the storm. Residents who encounter a fish kill are encouraged to report the kill immediately at 1-800-442-2511. Large amounts of rainfall across southern Louisiana may cause fish kills, particularly natural waterbodies surrounded by lands converted from forests to agricultural land. High levels of rainfall may erode organic matter, carrying it into bayous and canals connected to lakes. Organic matter may consume high amounts of dissolved oxygen in the water suffocating aquatic life. Fish kills may also be caused by the rapid mixing of stratified waters or layers of warm oxygenated water over cooler anoxic water. In some instances, the result will be that the water can no longer support underwater life. In the past, tropical storms and hurricanes have caused fish kills in these types of waterbodies. For more information, visit www.wlf.louisiana.gov.